Symphony League Bay Area founders pose for a photo at the initial meeting of the chapter Jan. 17, 1976 at the home of Mrs. Brian Merrill, Clear Lake City. They are, from left, seated, Mrs. Alfred Neumann (Selma); Mrs. Brian Merrill (Loraine); standing, Mrs. Donald W. Gibson (Pat); Mrs. William Calvin Cannon (Alda); Mrs. William O. Strong Jr. (Fran); Mrs. Martin Arisco (Peggy); Mrs. Howard T. Barkley Sr. (Margaret); Mrs. Buford A. Wells (Julia Stark); and Mrs. Lewis Wade (Joan). It may seem like just yesterday, but this Oct. 29 the Houston Symphony League Bay Area will be 40 years old. It was on a crisp autumn day when five Bay Area ladies met for coffee in Selma Neumann’s living room on Forest Lake Drive in Taylor Lake Village to organize the Houston Symphony Society Women’s Committee – Bay Area Chapter. Besides Selma Neumann, the others were Fran Strong, Julia Wells, Nan Miner and Joan Wade. Joining them were Regional Chairman Betty Jukes and Ellen Kelley, who gave informative talks about the orchestra, the function of the Women’s Committee and about the possibility of chartering a chapter in the NASA area. “Following an enthusiastic discussion, the women present decided to organize a group to be called the Bay Area Chapter…and that the membership should be drawn from Clear Creek School District communities – Seabrook, Kemah, League City, Webster, Clear Lake City and Nassau Bay, as well as Dickinson, Friendswood and La Porte,” according to the minutes in the HSL archives. Its purpose was to support the Houston Symphony Society in all of its endeavors and to encourage and create an extension of the Houston Symphony’s cultural endeavors in the Bay Area. But that was just the beginning. Temporary officers were chosen with Fran Strong as president, Julia Wells as secretary and Joan Wade as treasurer. It was decided that any member joining during the organizational period would be a charter member and dues would be $10 annually. A series of coffees were held with local ladies invited to hear about the new organization and what membership would involve and to be founding members. The first coffee was at the home of Alda Cannon Nov. 19 with Judy Falk as co-hostess, while Pat Gibson made arrangements for a Dec. 4 coffee at Lakewood Yacht Club. Before long, the membership had grown to 150, who became charter members when the Charter Presentation Dedication Ceremony was held at Jones Hall Feb. 8, 1976. First officers were President Fran Strong, Recording Secretary Julia Wells, First Vice President Alda Cannon, Corresponding Secretary Diane Bobko, Second Vice President Nan Miner, Treasurer Joan Wade, Parliamentarian Margaret Barkley and Historian Peggy Arisco. 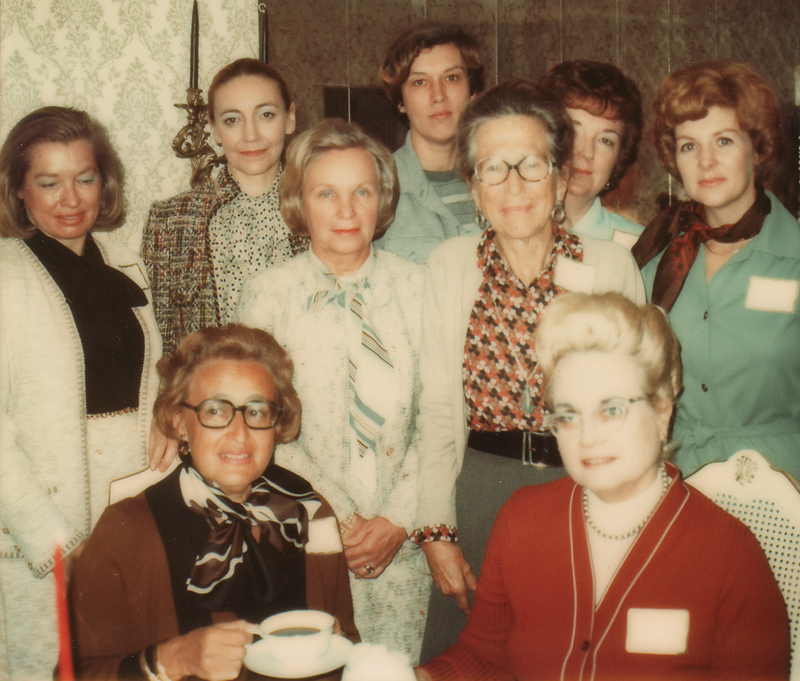 Others serving as president of the Bay Area Chapter through the years included Selma Neumann, Julie Wells, Dagmar Meeh, Priscilla Heidbreder, Harriet Small, Nina Spencer, Elizabeth Glenn, Ebby Creden, Charlotte Gaunt, Norma Brady, Cindy Kuenneke, Helen Powell, Sharon Dillard, Diane McLaughlin, Roberta Liston, Suzanne Hicks, Sue Smith, Shirley Wettling, Jo Anne Mills, Phyllis Molnar, Pat Bertelli, Emyre Barrios Robinson, Dana Puddy, Angela Buell, Pat Brackett, Joan Wade, Yvonne Herring, Deanna Lamoreux, Glenda Toole, Carole Murphy, Patience Myers and James Moore. Each year the league holds a fundraiser, using the proceeds to fund music education programs in the area schools – introducing thousands of children to good music and encouraging those with talent to pursue a musical career. For the first 25 years, members hosted a spring concert, bringing the Houston Symphony Orchestra to Clear Lake for what quickly became one of the big social events of the year. The inaugural concert was held March 26, 1977 with Nelson Riddle as the guest conductor. Then in the late 90s, the league added a black-tie “Autumn Leaves” dinner-dance co-chaired by Ebby Creden and Suzanne Hicks as a fundraiser. Afterwards, the name was changed to the Bach & Roll Ball with Charlotte Gaunt as the 1997 ball chairman and Helen Powell as co-chairman while Sharon Dillard was chairman and Ebby Creden co-chairman of the 1998 ball. Roberta Liston was chairman of the 1999 gala with Cindy Kuenneke as co-chairman. Some of the others who helped make the galas a success were Pat Brackett, Joan Burt, Norma Ballard, Ethel Greaney, Marge Jacobson, Alberta Rohlfing, Diane McLaughlin, Norma Brady, Norma Lang, Dorothy Kennedy, Roberta Liston, Sheila Fichtner, Fran Gentry,Pat Hunt, Elizabeth Glenn, Joy Smitherman, Martha Daniel, Joyce Morris, Esther Emnet, Peg Beever, Pat Bertelli, Joan Wade, Kathy Brauer, Jo Anne Mills, Casey Myers, Ginny Jones, Maurita Gallagher and Shirley Wettling. With the turn of the century, league members decided to host a home tour for their annual fundraiser, and thus, the Day By the Bay Home Tour was born and has been a league staple ever since. Besides a preview party on Friday night, there’s two days of touring stately Bay Area homes. In 2014, the West Mansion owned by Houston Rockets Hall of Famer Akeem Olajuwon and the nearby Bay Area Museum were added to the tour for that year, making it the most successful ever. Along the way, the league began joining the Bay Area Museum Guild members and their husbands for an annual event, Music at the Museum, which features a chamber music group each year and much mixing and mingling as two of the Bay Area’s largest groups enjoy an evening of music together.